As Cobb County legislators and local politicians continue discussing the once-untouchable topic of public transit entering the county, a town hall meeting is set for the Smyrna Community Center Monday night at 6:30 p.m. The meeting will feature Smyrna City Councilman Derek Norton, Cobb County Commissioners Bob Ott and Lisa Cupid, and Democratic state legislators Teri Anulewicz and Jen Jordan. Maps of the proposed ATL transit district and potential ATL service areas will also be presented during the meeting, per a tweet from Anulewicz. Anulewicz is a self-described transit advocate, and Jordan has expressed support for transit as well. Ott was appointed to the House Commission on Transit Governance & Funding last year, and Cupid is also a transit supporter. 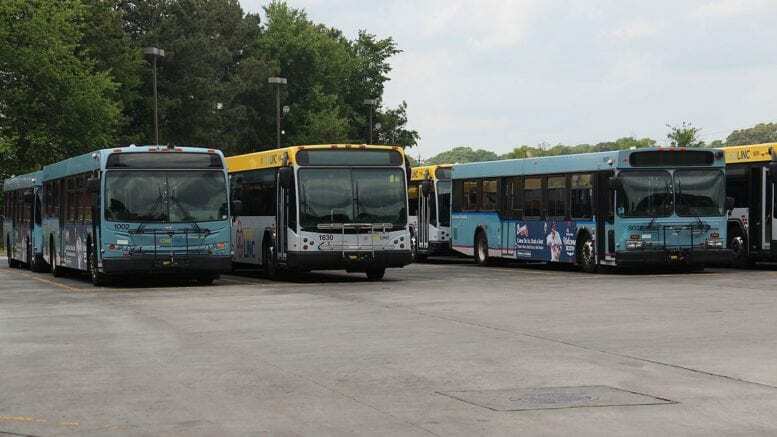 It’s possible that only Ott and Cupid’s districts, representing the southern and eastern parts of Cobb County, would receive additional transit service, and only those areas would pay an accompanying one percent sales tax. “I prefer that each of the transit districts be the county,” he says. He also points out that Cobb has rejected mass transit initiatives twice this decade, once in 2012 with the ill-fated T-SPLOST, and later with the idea of a bus rapid transit line from Kennesaw to Atlanta, which was championed by Boyce’s predecessor Tim Lee. Another concern is the idea of raising sales taxes at a time when Boyce is trying to draw support for a millage rate increase. “There comes a point when the taxpayer, the residents, the voters, say ‘enough,’” Boyce. Attempts to reach Boyce for further comment were unsuccessful as of this writing. Even if Boyce signs on, transit expansion plans would still need to go before county voters for approval. There’s a long way to go for regional public transportation to come to fruition in Cobb, but for perhaps the first time ever, the concept is enjoying some measure of bipartisan support. House Speaker David Ralston (R – Blue Ridge) has come out in support of HB 930. The bill’s lead sponsor is a Republican, and its first co-sponsor is high-ranking Democrat Calvin Smyre of Columbus. But Boyce is far from alone in citing major concerns with transit, both in its cost and application. Both sides will have a chance to learn more and have their voices heard during the town hall meeting. I shall not attend the meeting. I am being kept abreast of the issue by contact with Commissioner Ott, Representative Tanner’s office and members of the delegation. Since the proposed transit area excludes much of Smyrna as requested by their representative Rick Golick, I am not certain what their issues will be at that meeting, at least with regard to Smyrna. The map as constructed by Commissioner Ott was heavily influenced by members of the delegation. Be the first to comment on "Transit fans and foes: Sound off at Smyrna town hall set for Feb. 26"